Since computers are in use more hours per day than they used to be, making your computer more energy efficient is becoming increasingly important. Not only will not only go easy on your wallet, but you get to help out the environment as well. 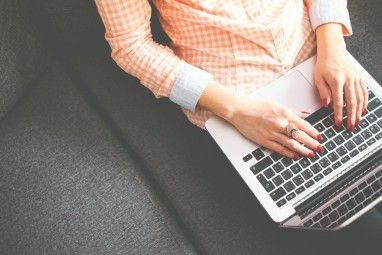 Here are 5 ways you can help to decrease power consumption on your computer. 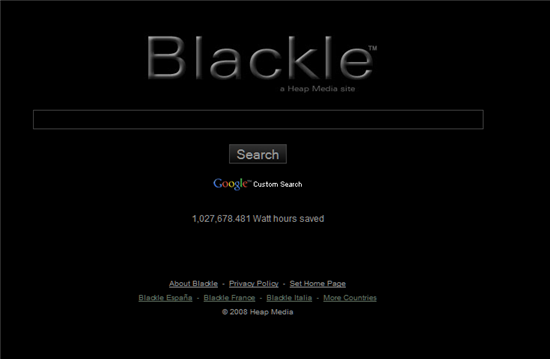 Blackle was created to provide a front end to Google, but with a black background. Blackle saves energy because the screen is predominantly black. A given monitor requires more power to display a white (or light) screen than a black (or dark) screen, so you get all the goodness of Google and with all the additional environmental benefits. Yes, the difference a single computer makes is small, put together, this small tweak to Google has a potential to save 750 Megawatt hours a year. As of now, they’ve already saved more than a million watt hours with this tool! The whole concept of Blackle is slightly controversial though and it has its detractors. This Wall Street Journal article claims that only older CRT monitors will see any benefit from the site. CO2 Saver is a free toolbar released by Snap and is a lightweight application that runs in Windows. It adjusts your Windows power settings so that your computer, monitor and hard drive consumes less electricity when you’re not actively using them (similar to what you could do by adjusting your power options in Windows). It then calculates how much power is saved, and converts it into pounds of CO2 emissions prevented by having the toolbar installed. You can see the amount of CO2 saved by yourself and all toolbar users together so you can view the collective effort and what you have contributed to it. At the time of writing, users of this tool have collectively saved more than 850,000 lbs of CO2! Energy Star is an international standard for energy efficient consumer products. When you buy electronics, look for the logo (pictured above) or ask for similarly certified products. 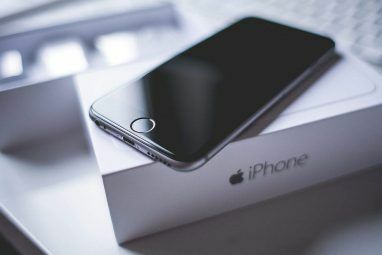 This ensures that you’ll get something which is pretty much efficient in its class. Some sources quote CRT monitors as consuming 250% more power than LCD screens of similar size. So if you’re looking to cut down on the power bill, consider dumping that old monitor and moving on to a less power hungry LCD which incidentally would also be much sexier looking on the table, and deliver crisper sharper images than a CRT. Whether you’re using a Mac OSX or Windows, you can adjust your settings accordingly so your system can power down when you’re idle. On Windows, go to Control Panel then power options to fine tune when you want your computer to turn down the hard disk, monitor, or go into standby mode. On a Mac, go to System Preferences, then Energy Saver pane, and then Sleep to adjust your energy saving settings. So there you have it, five simple ways you can help save power on your computer. What methods do you use? I’m curious to know. Tell us in the comments! On 'Advanced power settings' change maximum processor state to 40%. It will reduce 60% power consumption on windows PC. If you are interested in learning exactly how to generate power and reduce your bill then this is the perfect resource for you! With the ever increasing costs of living, there is no better time than right now to stop throwing money out the window and start generating our own electricity. Check INPLIX and learn more about it. My boss was talking to me about inplix (INPLIX) , after seeing it on the news. He said he has saved almost 70% on her utility bill and I'm thinking about giving this new program a shot. Has anybody else used it? It seems to be super popular. 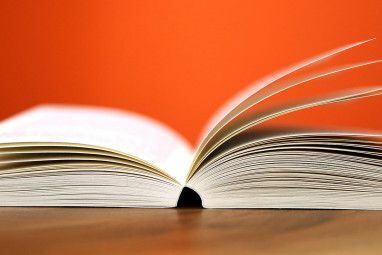 Scientific American, which did their own research, agrees with the Wall Street Journal article, as does most of the "expert" research I've come across. For the majority of LCD monitors nowadays, black uses more energy than white. This may change as newer models--such as those that use LED backlighting--emerge. If the internet goes all black, it will make a huge difference in energy consumption because everyone will stop using it. Ever see what happens to your eyes after reading a page of text on a black background? No thanks, I'll stick with other more practical ways of reducing energy consumption. A better tip than Blackle would be to recommend exchanging that fancy screensaver for "blank", as the fancy screensaver consumes more power by driving all the eye candy instead of letting the CPU & GPU idle. Next, be aggressive about your screensaver delay and monitor standby delays, say 5-10 minutes for the screensaver delay and another 5 minutes before monitor standby kicks in. @nikkon: Glad it works well for you! @Arvin: Not all LCD screens have a rest state of 'always on'. It worked for Nikkon for example. @adobe: It's meant to be an aggregate effect. @Boules: I agree it's a point of contention, but please don't mistake it for misleading information. Is it possible to create blackle toolbar instead of google toolbar. Does google provided blackle toolbar? So, in a way, wouldn't this also be a way to increase the battery life of say, your laptop? Please, next time don't waste your time and your energy with misleading pieces of information like that tip about Blackie. Even . Nobody has saved any watt due to this false tip, but instead caused damage to his eyes. Stop spreading such nonsense. Great tips! I believe there are other sites like blackle that I have come across. Google should implement that feature. Yeah, Blackie is a complete waste of time for LCD screens, which I assume a majority of users are viewing on now (including laptops). LCD screens have a perpetual light behind the screen, and the liquid crystals activate in different colors to block that light. But the light is always on. I can't back up the following, but potentially having all black would actually waste more energy since that would mean that the light was being most blocked? The Wall Street Journal is wrong. I was originally skeptical that an LCD monitor would use less power to show a black screen. So I used a Kill-a-watt meter and to my surprise I found my 24" LCD monitor used 43W for a black google page, and 46W for the default white version. Maybe all web pages should have black backgrounds.